Dr Morrissey graduated from Trinity College Dublin with a first class degree in Natural Science, before beginning an ESRC-funded PhD in Geography at the University of Exeter. His doctoral research drew on postcolonial theory to explore the practices of imperialism and resistance in England's first geopolitical imaginary in the early modern period, Ireland. After completing his PhD, he taught at Exeter for a year before going to NUI Galway, where he lectures on political and cultural geography. Dr Morrissey's main research interests are in critical geopolitics and security, postcolonialism and international development. He is a former Government of Ireland IRCHSS Fellow, which he spent at the Center for Place, Culture and Politics at CUNY Graduate Center in New York, and he was nominated for a Fulbright US Institute Scholar Award on US Foreign Policy at the University of Florida. He is also a former Quatercentenary Fellow at Emmanuel College, Cambridge and Visiting Fellow at Fitzwilliam College, Cambridge, and he has held additional research fellowships at LUISS University in Rome, Virginia Tech and the University of Oxford. Over the last ten years, Dr Morrissey's research has been focused on the geopolitical and biopolitical dimensions of contemporary US national security interests in the Middle East, with a particular focus on United States Central Command (CENTCOM). The Long War, a critical history of CENTCOM, documenting the ongoing imperial interventions of the command, was published with University of Georgia Press. More recently, he has begun work on the challenge of envisioning and enacting human security in the context of the ongoing humanitarian crisis in the Mediterranean, via an Irish Research Council project entitled Haven. Dr Morrissey previously served as Head of Geography at NUI Galway, during which time he initiated a number of developments in research, teaching and community engagement. In 2009, he coordinated the establishment of the MA in Environment, Society and Development, for which he is Programme Director. It has been a leading Masters programme in the university since, with high numbers of international students from all over the world each year. It has won a number of research and teaching accolades, and involves an innovative field-based learning module where students work on the ground with the UNDP in Bosnia. In 2011, Dr Morrissey won the President's Award for Teaching Excellence at NUI Galway, and in 2012 he won the NAIRTL National Academy Award for Research and Teaching Excellence. In 2012, he also completed a Masters in Academic Practice at NUI Galway. In 2014, Dr Morrissey was promoted to Senior Lecturer in Geography, and in 2015 he was appointed Associate Director of the Moore Institute. He served as Head of the School of Geography and Archaeology for 2017/18, and won the President's Award for Teaching Excellence for a second time in 2018. Dr Morrissey is a political and cultural geographer whose work draws upon the writings of Michel Foucault, Edward Said, Judith Butler and others in critiquing how dominant and violent forms of contemporary Western interventionism are underpinned by imperial and neoliberal discourses of security. His research over the last ten years has been concerned with the geopolitical scripting, political economy and biopolitics of US foreign policy in the Middle East and Central Asia, with a particular focus on United States Central Command (CENTCOM). More recently, he has begun work on the challenge of envisioning and enacting more transformative and non-violent senses of 'human security', especially in the context of the ongoing humanitarian crisis in the Mediterranean. He is the author of The Long War (University of Georgia Press), Negotiating Colonialism (RGS Historical Geography Research Series), co-author of Key Concepts in Historical Geography (Sage), and co-editor of Spatial Justice and the Irish Crisis (Royal Irish Academy). A full list of his publications can be found here. At NUI Galway, Dr Morrissey is Associate Director of the Moore Institute for Humanities and Cluster Leader of the Geopolitics and Justice Research Group in Geography. Dr Morrissey's research has been supported by grants from the British Academy, the British International Studies Association, the Clinton Institute for American Studies, the Irish Research Council, National University of Ireland, NUI Galway Community Knowledge Initiative, NUI Galway Millennium Fund, and the University of Cambridge. He was a Government of Ireland IRCHSS Fellow in 2007/08, during which time he was a Senior Research Scholar at the Center for Place, Culture and Politics at CUNY Graduate Center, where he worked closely with David Harvey and the late Neil Smith. This research culminated in a geopolitical history of CENTCOM for University of Georgia Press. In 2010, he was nominated by the Fulbright Commission for a US Institute Scholar Award for the Institute on US Foreign Policy at the University of Florida. In 2013/14, he was elected the Derek Brewer Quatercentenary Fellow at Emmanuel College, Cambridge and Visiting Fellow at Fitzwilliam College, Cambridge. Dr Morrissey is currently working on a new Irish Research Council project entitled 'Haven', which critically examines the EU response to the ongoing humanitarian crisis in the Mediterranean. As part of the Haven project, he has held visiting scholarships at LUISS University, Rome, and St Antony's College, Oxford. (2017) The Long War: CENTCOM, Grand Strategy, and Global Security. (2014) Key Concepts in Historical Geography. (2014) Spatial Justice and the Irish Crisis. (2018) 'Why We Need to Examine the Geopolitics of Displacement' (RTÉ Brainstorm Opinion). (2018) 'No Endgame: Towards a Critical Recent History of the US in the Middle East' (ZNet). (2017) 'The Long War: The United States Military and the Middle East’ (RTÉ Brainstorm Long Read). (2012) 'Subaltern Narratives, Biopolitical Violence, Strategic Studies' (Exploring Geopolitics). (2009) 'Imperial Geopolitics' (Foreign Policy). (2016) 'Environment, Society and Development' (The Public Sector Magazine). (2006) 'Release of Geographer Detained in Israel' (The Irish Times). (2006) 'Israeli Detention of Geographer' (The Irish Times). (2012) The New Academic Subjectivity: Enabling Performance and Engagement in the Contemporary University. MA Thesis, National University of Ireland, Galway. (2000) Encountering Colonialism: Gaelic-Irish Responses to New English Expansion in Early Modern West Tipperary, c.1541-1641. PhD Thesis, University of Exeter. (1996) Landscape and Society in Seventeenth-Century West Tipperary. BA Thesis, Trinity College, University of Dublin. (2018) Welcome from Head of SoGA. 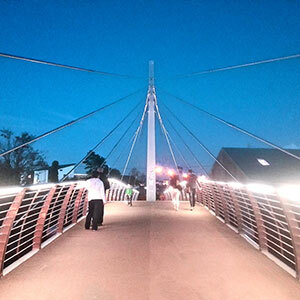 (2015) Showcasing Scholarship: Towards a Community of Public Intellectualism. (2011) Geography at NUI Galway, 2010/2011. (2007) Irish Postgraduate Training Consortium Meeting 2007. (2005) Irish Postgraduate Training Consortium Meeting 2005. (2004) Irish Postgraduate Training Consortium Meeting 2004. (2003) Irish Postgraduate Training Consortium Meeting 2003. (2002) Irish Postgraduate Training Consortium Meeting 2002. (2019) Towards a Transformative Vision of Human Security: Challenging EU Securitization Discourse. British International Studies Association Conference. St Antony's College, University of Oxford. (2018) Precarity, Solidarity and Interventionism. Academic Council on the United Nations System Annual Meeting, LUISS University, Rome. (2017) Migration and Security in the Mediterranean Refugee Crisis. Migration and the Humanities Conference, Moore Institute, NUI Galway. (2016) The Narration of History: Remembering the Great War in Ireland in 2016. Ardcarne Remembers 1913-1923, Knockvicar, Co. Roscommon. (2016) Capitalist Subjection and Subjectivity. 48th Conference of Irish Geographers, St Patrick’s College, Drumcondra, Dublin City University. (2016) Intervening for Human Security. Haven Project Symposium, Moore Institute, NUI Galway. (2015) Waging Liberal Intervention: Full Spectrum Operations in Late Modern War. 47th Conference of Irish Geographers, Queen's University Belfast. (2014) Securitizing Instability: The Notional Legal Spectrum. 110th Association of American Geographers Annual Meeting, Tampa. (2013) The Lifework of Neil Smith. 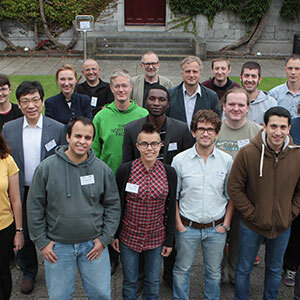 45th Conference of Irish Geographers, NUI Galway. (2012) Enabling Rapid Military-Economic Securitization. 108th Association of American Geographers Annual Meeting, New York. (2012) Foucault and the Colonial Subject. People, Past, and Place: Studies in Irish Historical Geography Conference, NUI Maynooth. (2012) Field-Based Learning: Enhancing Student Learning through Community Engagement in Sarajevo, Bosnia-Herzegovina. RGS-IBG Annual Conference, Edinburgh. (2012) The Revival of Classical Geopolitics in the Age of Securitization. Conflict, Humanitarianism and Security Cluster Symposium, NUI Galway. (2011) Deconstructing the Political and Cultural Ascriptions of Irishness. Space, Identity and the Authentic Symposium, Irish World Academy of Music and Dance, University of Limerick. (2010) Critical Knowledge and the Academy. 10th Anniversary Symposium of the Center for Place, Culture and Politics, CUNY Graduate Center, New York. (2010) Biopolitics on the New Frontier: US Juridical Warfare in the War on Terror. Ordnance: War, Architecture and Space, University College Cork. (2009) Rhetorics of Risk and Reconstruction: US Geoeconomic Calculation in the Persian Gulf. 105th Association of American Geographers Annual Meeting, Las Vegas. (2009) US Juridical Warfare: Strategies of Military Biopower. 105th Association of American Geographers Annual Meeting, Las Vegas. (2008) The Derivative War in the Middle East: Risk, Preemption and the Political Economy of Securitization. 104th Association of American Geographers Annual Meeting, Boston. (2007) US Grand Strategy and the Exceptional Spaces of the Global War on Terror. 103rd Association of American Geographers Annual Meeting, San Francisco. (2007) Shannon and Ireland’s Geopolitical Positioning in the Global War on Terror. 103rd Association of American Geographers Annual Meeting, San Francisco. (2006) An Empire of Disorder: English Hegemony and the Projection of Power in Colonial Ireland. 102nd Association of American Geographers Annual Meeting, Chicago. (2006) CENTCOM and the Exceptional Spaces of US Interventionism. 6th European Social Science History Conference, Amsterdam. (2006) Strategies of Resistance in Early Colonial Tipperary. 35th Annual Conference of the Group for the Study of Irish Historical Settlement, Clonmel, Co. Tipperary. (2006) The Iraqi Mission Civilisatrice: Grand Strategy and the Exceptional Spaces of the Global War on Terror. The United States and Iraq Conference, Clinton Institute for American Studies, University College Dublin. (2005) Narrating Ireland’s Heritages: The Possibility of Memory. Galway International Genealogical Conference, Oranmore, Co. Galway. (2005) World War I and the Place of Ireland’s Dissonant Heritages. 101st Association of American Geographers Annual Meeting, Denver. (2005) The Iraq War: Imaginative Geographies and the Circulation of Non-Knowledge. Conference of Irish Geographers, NUI Galway. (2005) (Re)membering the Connaught Rangers: Voices from the Margins. Remembering the Connaught Rangers Symposium, Renmore, Galway. (2004) Inactive Geographies of Memory: Forgetting Ireland’s Involvement in the British Army. 5th European Social Science History Conference Humboldt University, Berlin. (2003) (Re)presenting the Connaught Rangers. 99th Association of American Geographers Annual Meeting, New Orleans. (2002) New English Exclusivism and the 1641 Irish Rebellion. RGS-IBG Annual Conference, Queen's University Belfast. (2002) Remembering the Connaught Rangers, Connaught Rangers 80th Anniversary Weekend, King House, Boyle, Co. Roscommon. (2002) The Connaught Rangers: A Lost Heritage. Irelands Heritages Conference, GMIT Castlebar, Co. Mayo. (2001) Recovering the Voices of Resistance: The Contact Zone in the Archives. RGS-IBG Annual Conference, University of Plymouth. (2001) Negotiating Difference: Geographies of Self and Other in Early Modern Ireland. Conference of Irish Geographers, University College Cork. (2001) Ethnicity and Resistance in Early Modern Ireland. 11th International Conference of Historical Geographers, Université Laval, Quebec. (1999) Fields of Conflict and Transformation: The Changing Cultural Context of Early Seventeenth-Century West Tipperary. RGS-IBG Annual Conference, University of Leicester. (1998) Cultural Change in Seventeenth-Century West Tipperary, Ireland. Wessex Consortium Conference, Cumberland Lodge, Windsor Great Park, London. (1998) Geographies of Accommodation and Resistance in Early Colonial West Tipperary. 10th International Conference of Historical Geographers, University of Ulster. (2017) The Long War: CENTCOM and US Global Ambition. School of Natural and Built Environment, Queen's University Belfast. (2017) Podcasting Support for Student Learning. 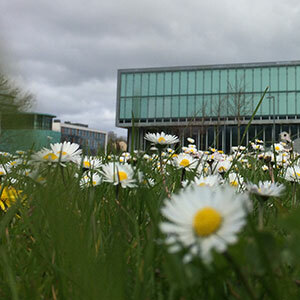 Centre for Excellence in Learning and Teaching, NUI Galway. (2016) Imperial Blowback: A Critical History of Recent US Interventionism in the Middle East. Westport Civic Trust, Westport, Co. Mayo. (2016) Podcasting in Higher Education. Centre for Excellence in Learning and Teaching, NUI Galway. (2015) Podcasts as Virtual Learning Support. Centre for Excellence in Learning and Teaching, NUI Galway. (2014) Stability Operations in “An Era of Persistent Conflict”. Department of Geography, Royal Holloway, University of London. (2014) Colonial Subjection: Emergent Forms of Governmentality in Early Modern Ireland. Department of Geography, University of Cambridge. (2014) Key Concepts in Historical Geography. Fitzwilliam College, University of Cambridge. (2014) The Long War: CENTCOM, Grand Strategy and Global Security. Emmanuel College, University of Cambridge. (2014) Podcasted Virtual Learning Support. 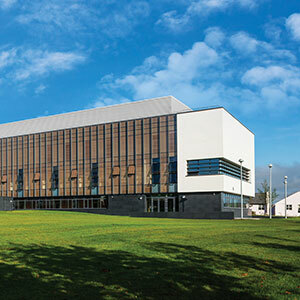 Centre for Excellence in Learning and Teaching, NUI Galway. (2013) Knowledge Portals for the Contemporary Student. Hardiman Library, NUI Galway. (2013) Ireland and the Use of History: Envisioning the Great War. Connaught Rangers Gathering, Markree Castle, Co. Sligo. (2013) Historical Geographies in the Present: Historicizing Western Interventionism. Sidney Sussex College, University of Cambridge. (2012) Enabling Performance and Engagement in the Contemporary University. Centre for Excellence in Learning and Teaching, NUI Galway. (2012) Large Group Teaching. Centre for Excellence in Learning and Teaching, NUI Galway. (2012) Podcasting in Higher Education. 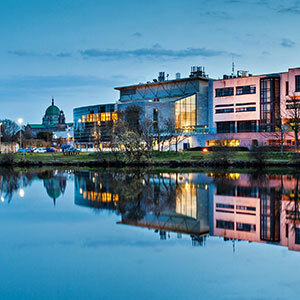 Centre for Excellence in Learning and Teaching, NUI Galway. (2011) Podcast Steering of Independent Learning. 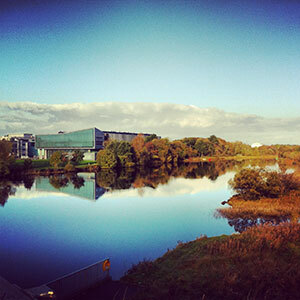 Centre for Excellence in Learning and Teaching, NUI Galway. (2010) That This House Believes Barack Obama Will Continue to Disappoint. Literary and Debating Society, NUI Galway. (2010) The Imperial Present: Scripting US National Security Concerns in the Long War. Department of Geography, University of Cambridge. (2008) The Political Economy of US CENTCOM. Center for Place, Culture and Politics, The Graduate Center, City University of New York. (2008) CENTCOM's Middle East: Geopolitical Imaginings and Interventionary Practices. School of Public and International Affairs and the Institute for Society, Culture and Environment, Virginia Tech. (2008) From “Arc of Crisis” to “Axis of Evil”: CENTCOM, Securitization and the Long War in the Middle East. Department of Geography, NUI Galway. (2007) The Political Geography of the War on Terror. Geographical Society, NUI Galway. (2007) The Force of Law Without Law: Exception, Exemption and the Global War on Terror. Department of Geography, University of Exeter. (2007) Agamben, Bare Life and the Biopolitical Geography of the War on Terror. Department of Philosophy, NUI Galway. (2007) Representation, Public Space and the Place of Dissonant Heritages. Humanities Institute of Ireland, University College Dublin. (2006) Mapping the Global War on Terror: The New Imperial Geopolitics. 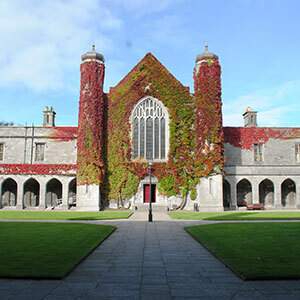 Department of Geography, University College Cork. (2006) Ireland and the First World War: The Politics and Selectivity of Remembrance. United States Military Academy, West Point (NY). (2006) The Last Days of Gaelic Kilnamanagh: Resistance and the Endgame of 1641. O’Dwyer Clan Rally 2006, Ballykisteen, Co. Tipperary. (2006) Reading the Geopolitics of the New Imperialism. Department of Geography, NUI Maynooth. (2004) Incorporating Memory / Memories of Incorporation: The Connaught Rangers of the Great War. Department of Geography, University of Liverpool. (2004) The Connaught Rangers: Multivocal Irishness and the Place of Dissonant Heritages. Galway Archaeological and Historical Society. (2004) Ireland, the Great War and the Politics of Representation. Department of Geography, University of Cambridge. (2003) Lost Voices / Hidden Memory: The Connaught Rangers and Multivocal Irishness. GMIT Galway. (2002) The Heritage of the Connaught Rangers. Department of Geography, NUI Galway. (2000) Encountering Colonialism. Department of Geography, University of Exeter. (1998) The Cultural Landscape of 17th-Century County Tipperary, Department of Geography, University of Exeter. (1996) Landscape and Society in 17th-Century West Tipperary. Department of Geography, Trinity College Dublin. (2010) Field-Based Learning: Participatory Development Theory Beyond the Laptop. Civic Engagement Symposium, Community Knowledge Initiative, NUI Galway. (2010) Podcasting for Undergraduate Students. 8th Annual Galway Symposium, Centre for Excellence in Learning and Teaching, NUI Galway. (2007) Visual Sources in Geographical Research. Irish Postgraduate Training Consortium Annual Conference, Glencree Centre, Co. Wicklow. (2006) Visual Archives in Historical Research. 12th Annual HGRG Practising Historical Geography Conference, Queen's University Belfast. (2005) Postgraduate Transferable Skills in Geography. Irish Postgraduate Training Consortium Annual Conference, Glencree Centre, Co. Wicklow. (2004) Deconstructing Images. Irish Postgraduate Training Consortium Annual Conference, Glencree Centre, Co. Wicklow. (2003) Theory and Representation. Irish Postgraduate Training Consortium Annual Conference, Bellinter House, Co. Meath. (2002) Using Theory in Geography. Irish Postgraduate Training Consortium Annual Conference, Bellinter House, Co. Meath. (2002) Using Archives in Geography. 8th Annual HGRG Practising Historical Geography Conference, University of Durham. (2000) The Postgraduate Experience. 6th Annual HGRG Practising Historical Geography Conference, Royal Holloway, University of London. I have variously supported the work of Irish Aid as part of their consultative White Paper reviews. I have also attended and contributed to Irish Aid academic consultation meetings, at which I have brought a range of critical perspectives to bear on development practice issues. This has also fed back into the MA in Environment, Society and Development programme, with key individuals in Irish Aid regularly coming to Galway to offer guest lectures on the programme. I have contributed to UNDP Bosnia development agenda reviews in relation to the potential for cross-cluster holistic approaches to community development. Dr Morrissey teaches a range of modules on geopolitics, imperialism and war, focusing in particular on three wars: the Great War, the Vietnam War and the Global War on Terror. Dr Morrissey's teaching critiques the broad array of interventionary practices in our contemporary world that are underpinned by powerful discourses of security, risk and more broadly neoliberalism. Dr Morrissey is Programme Director of the MA in Environment, Society and Development, within which he teaches modules on international development theory and practice. Association of American Geographers AAG U.S.A.
Prof. David Harvey City University of New York U.S.A.